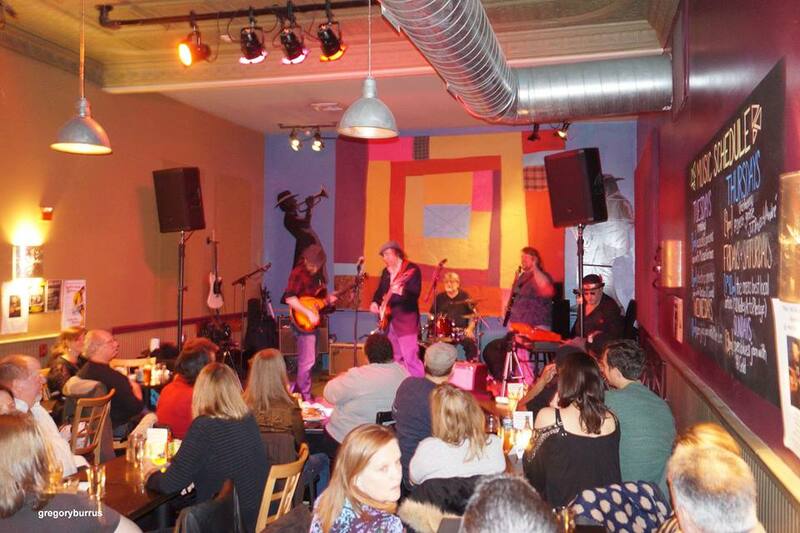 Hat City Kitchen is not only known for its amazing food and arts but a definitive home for live music. Especially blues and jazz. With live music six nights a week, there are always new tunes to tap your foot to. Here are some of the acts that have graced the stage in the last couple of weeks. Friday, March 25th kicked off what would be a full week of jazz at Hat City Kitchen. It was a busy night, as the Matt Kane Quintet were booked to release their new CD, Acknowledgement. But first, it was a delight to experience an opening set from The Whisper McRae Quartet which was a group of young, talented musicians, including Benjamin Jayko, who I feel I watched grow up on that stage. These are the moments I live for. I personally love working the jazz jam at HCK on Wednesdays. I have gotten to know the young musicians that come every week to play, most coming from Montclair State and William Patterson where they are studying music. I love the atmosphere of music appreciation and learning. I overhear conversations between the members of the host band, who are all music professors, and the students on how they could improve and advice on how to make it with a music career. Friday, April 9th, it was all about blues music. Al Gold, the host of the Sunday Blues Jam (the longest running open jam at HCK, with a fiercely loyal crowd) has a Friday Night Blues residency as well at Hat City Kitchen. Once a month, Al and his band play a night of themed blues and soul hits. For this edition, they played a tribute to Freddie and Albert King. "A powerful, truly enjoyable tribute to Albert and Freddie King by Al Gold and Friends. Arthur Neilson and Jake Walker as Albert King and Freddie King specialists. Charles F. Peregrin, Dock Perry on keys - spent much quality time with Albert King onstage in the Albert King Band. Tonight also featured Al Gold, Mark Pavlica, Jerry Cordasco, and Tom Rice. Playing the Blues to an enthusiastic, very appreciative packed house, the music never stopped smoking up the crowds at Hat City Kitchen." Guitarist Freddie King rode to fame in the early '60s with a spate of catchy instrumentals which became instant bandstand fodder for fellow bluesmen and white rock bands alike. Employing a more down-home (thumb and finger picks) approach to the B.B. King single-string style of playing, King enjoyed success on a variety of different record labels. Albert King is one of the major influences on blues and rock guitar players. Without him, modern guitar music would not sound as it does — his style has influenced both black and white blues players from Otis Rush and Robert Cray to Eric Clapton and Stevie Ray Vaughan. To keep up with what is going on at Hat City Kitchen, be sure to follow their Facebook page, which is updated frequently with a live music schedule, specials, and more!